We stood before a minister, taking those sacred wedding vows, but five months later we were beginning to feel like this was not going to work. Our marriage was in the first stages of disintegration. No matter how sincerely we were trying to communicate, we could not connect. Words, phrases and actions said one thing but it meant something totally different to the other person. We didn’t have the same language because we didn’t have the same words. We didn’t even have the same alphabet. We had a new security. We had tapped into a secret place from which we could begin learning one another’s alphabet and thus begin to piece together words and sentences. Simultaneously, we could build a stronger connection between us. It was like working on our health while working on an injury at the same time. The Golden Rule has been a huge part of the foundation of our marriage for more than 35 years and we have also been teaching it as a healing prescription for the couples that we coach. Sometimes our family and friends comment on our present ability to communicate in a manner that seems almost telepathic. We can just say one word or give a brief glance across a room and we are able to conduct an entire conversation in a few seconds. This new level of communication began when a couple that had only been married for six months, in a moment of desperation, made a Golden Rule choice for their relationship. World Peace Ambassador, Dr. Clyde Rivers calls Chris and Carol Green the leading skilled experts in rebuilding, restoring and renewing hearts and homes. The Green are certified master life coaches who founded the Fruitful Life Network, Inc. an innovative community care and coaching outreach. They are international columnist/writers with the award winning team of Dr. Clyde Rivers and iChange Nations Social Media News™. 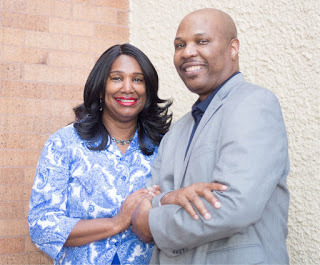 They specialize in marriage coaching having written a book about marriage and relationships titled, We Made a PACT, and produced several online marriage enrichment and resiliency courses.